When you purchase Atelier Collection hand crafted coffees, you have the choice of either receiving the coffee as green (not roasted) or roasted coffee. If you choose roasted coffee, we will freshly roast your choice on demand. Please note that during roasting process the coffee will lose about 20% of its green coffee weight. 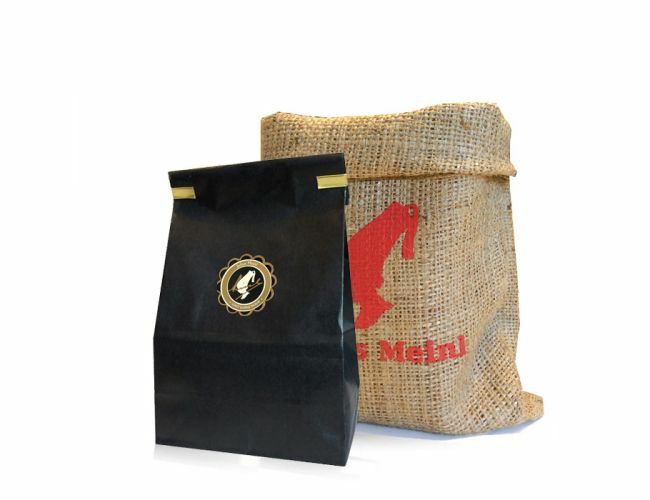 For example, if you buy 400g of Julius Meinl Atelier Collection hand crafted coffee and choose roasted, you will receive approximately 320g of roasted coffee. Hawaii Paradise Meadows lies at the foot of the mighty Mauna Loa volcano (last eruption: 2014). Mauna Loa is the biggest and tallest volcano in the world (9.170m high, of which 5000m below sea level; all in all, higher than Mount Everest). The coffee beans are lovely in color, the blend smooth in taste and aroma.